It's jam-packed with cultural activities that have been present in Vigan for centuries with cultural substance you cannot see anywhere else in the world. "...this day is Vigan's most iconic day. 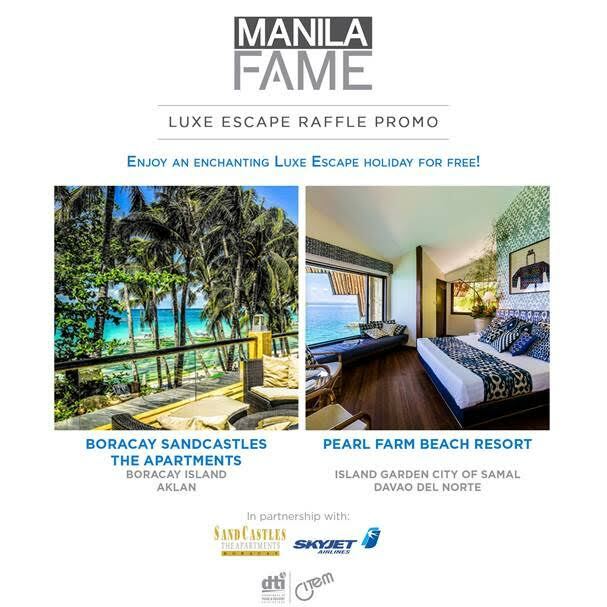 It's jam-packed with cultural activities that have been present in Vigan for centuries with cultural substance you cannot see anywhere else in the world." 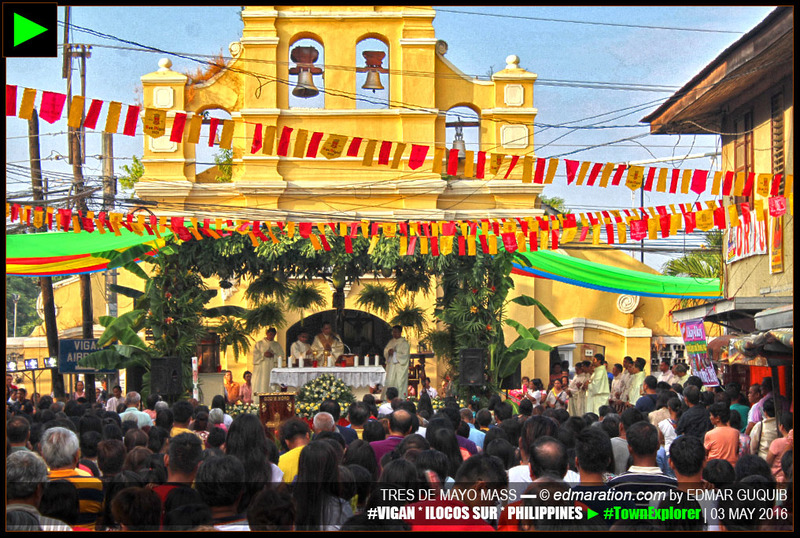 [VIGAN, ILOCOS SUR, PHILIPPINES] ► Tres de Mayo is a centuries-old tradition in Vigan. As the name suggests, it falls every 3rd day of May. As a resident of Vigan, I would say that this day is the most iconic day in the city because of the unique mixture of cultures that's so beautifully developed you cannot see (or rarely see as the case may be) anywhere else in the world. There are activities from sunrise to sundown. The people of Vigan just can't afford to miss the activities on this day. The passion of the people in practicing their culture and traditions is so evident. and ends with a procession. But this is not limited to Roman Catholicism. It's just a part of the whole package. I'll tell you more about this below. During Tres de Mayo, households of the nine (9) poblacion barangays of Vigan prepare for a feast. Each household anticipates that visitors are coming to celebrate with them. It's a fiesta day! In some cases, it's a taboo not to prepare a food for visitors during Tres de Mayo. In 1882, Vigan was affected by a cholera epidemic. The people of Vigan believed that through the intercession of the Sto Cristo Milagroso, the epidemic stopped. 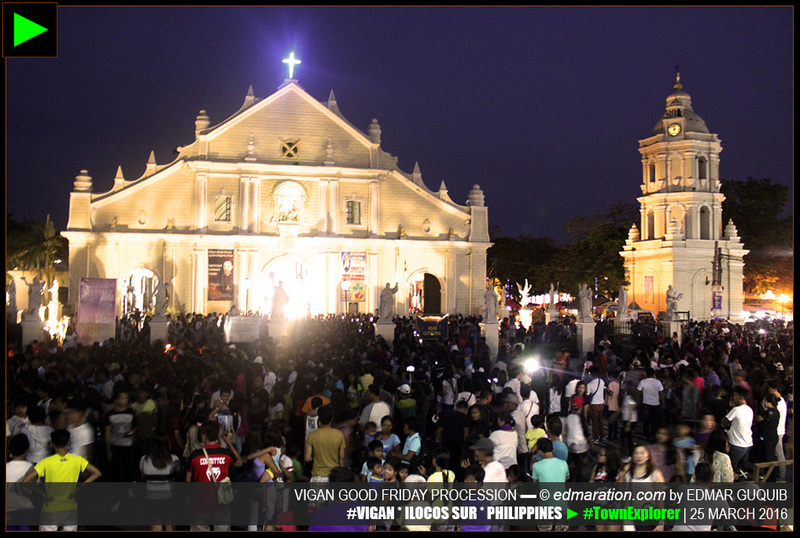 Since then, the people of Vigan started to celebrate May 3 as the feast day of the latter. 03 May 1883 was the first Tres de Mayo celebration and it continued until now. 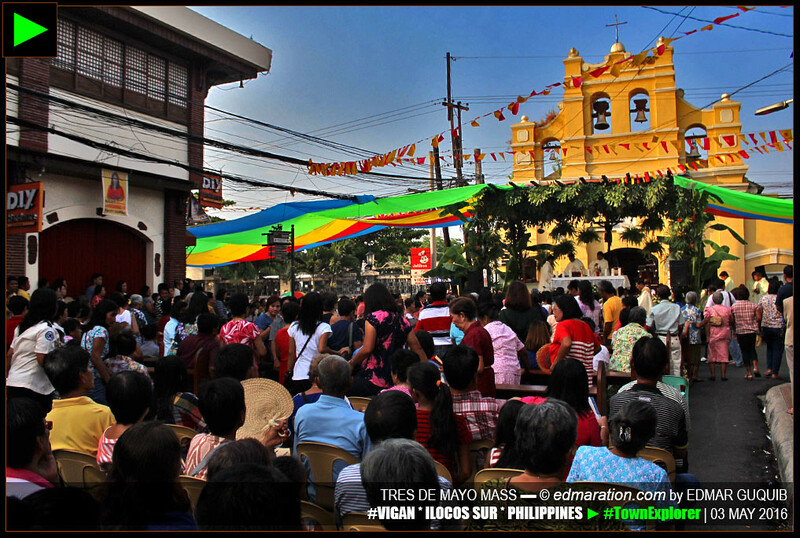 Tres de Mayo is a more than 200-year-old tradition of the people of the heritage city of Vigan. The Sto Cristo Milagroso enshrined in this church is actually related to the Sto Cristo Milagroso de Sinait. The original image (which is in Sinait) was brought to Vigan during the epidemic that killed almost 1000 people. The people had this faith that the Sto Cristo de Sinait would free Vigan from epidemic and it happened. In Vigan, there is another name for Sto Cristo Milagroso. We call it Apo Lakay. The literal translation of Apo Lakay means an old man or a male elder. In the Ilocano culture, the word "apo" is used to show respect to the older people and the word is usually uttered before the name of the person (or title of the person) whom the respect is due. The word "apo" is the highest form of respect you could ever say—in the Ilocano manner of talking to an older person. So for example, if an Ilocano calls the president of the Philippines, we would say 'apo presidente' or 'apo Duterte.' It's equivalent to "his excellency" or "your honor" in the English language. So the name Apo Lakay simply means an old man. Whether or not the word apo is used, it still means the same—old man. The word apo is just used to intensify the degree of respect to the person you are calling. I don't know why this Sto Cristo Milagroso was called Apo Lakay and how the people of Vigan started calling it that way—definitely there's a respect element here—but in the context of the Tres de Mayo feast day, Apo Lakay refers to the Sto Cristo Milagroso. An image of the Apo Lakay (Sto Cristo Milagroso de Vigan) is enshrined in the Simbaan a Bassit. Simbaan a Bassit literally means "small church." In all the journals, articles and published print media I've read, the church where Apo Lakay was enshrined has always been officially called as the Simbaan a Bassit. It was called that way because in the case of Vigan, it has two Roman Catholic churches within the city proper. One is the Vigan Cathedral (St Paul Metropolitan Cathedral) a.k.a Simbaan a Dakkel which means 'big church'. The Vigan Cathedral is the biggest church in Vigan by the way. To avoid confusion which church the people of Vigan are referring to, these two churches have been differentiated as dakkel (big) and bassit (small). Though the Vigan Cathedral is officially called as the St Paul Metropolitan Cathedral, the people of Vigan never call that church that way in their casual conversations and daily life. The locals don't mention the whole name of the church whenever they refer to the Vigan Cathedral. They instead call it Simbaan a Dakkel for easier recall. Simbaan a Bassit is the smaller church, hence the name and the name of this church remained as it is. Interestingly, while most Roman Catholic churches in the world were named after the name of the saint that is enshrined in the church (say for example the Saint Paul Metropolitan Cathedral where the image of St Paul is enshrined, Virgen Milagrosa Church where the image of Virgin Mary is enshrined), the case of the Simbaan a Bassit is I think the most unique in the world of Roman Catholic churches. I've never read a writing or an article officially calling this church as the Sto Cristo Milagroso Church and as a resident of Vigan, I would claim that many of the people here are not aware of the presence of the Sto Cristo Milagroso image in Simbaan a Bassit. I've never heard anyone calling this church as the Apo Lakay Church or Sto Cristo Milagroso Church. The people simply call it Simbaan a Bassit to distinguish it from the larger church in Vigan which is the Vigan Cathedral. So since time immemorial, the name of the church has been the Simbaan a Bassit (which literally means small church). It's a unique name that emanated from Ilocano customs. Amazing Vigan! During the Tres de Mayo feast day of Apo Lakay, all roads lead to Simbaan a Bassit. The day starts with a mass just in time for the sunrise. The image of Sto Cristo Milagroso de Vigan is brought out in front of the church on the platform especially made for this day. 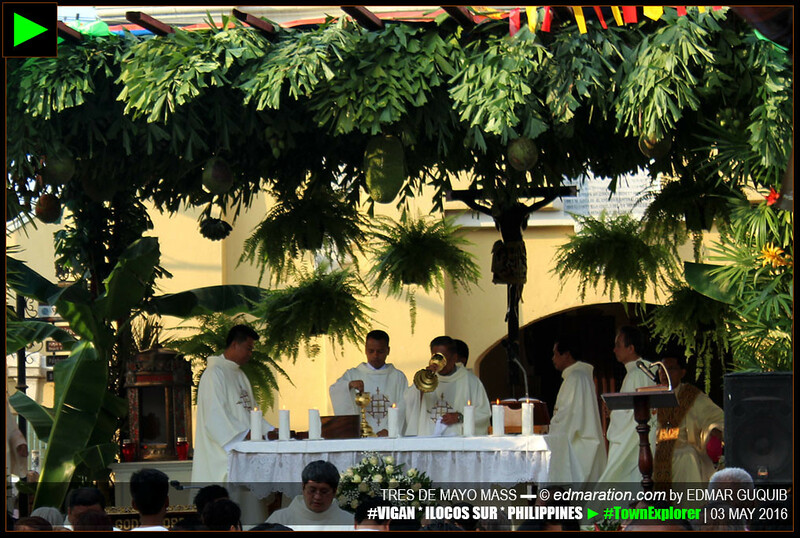 This mass officially starts the Tres de Mayo celebration. Traditionally, the mass happens in front of the Simbaan a Bassit where a portion of Liberation Boulevard and the south end of Quezon Avenue are closed to give way for this religious gathering. The mass platform is decorated with palms, banana shrubs and agricultural produces (see photo below) that signifies abundance and blessings. done in different locations and streets in Vigan signifies the strong presence of Chinese culture mixed with the local culture. The Chinese elements of Tres de Mayo is actually related to the veneration of Apo Lakay and Roman Catholicism as a whole. 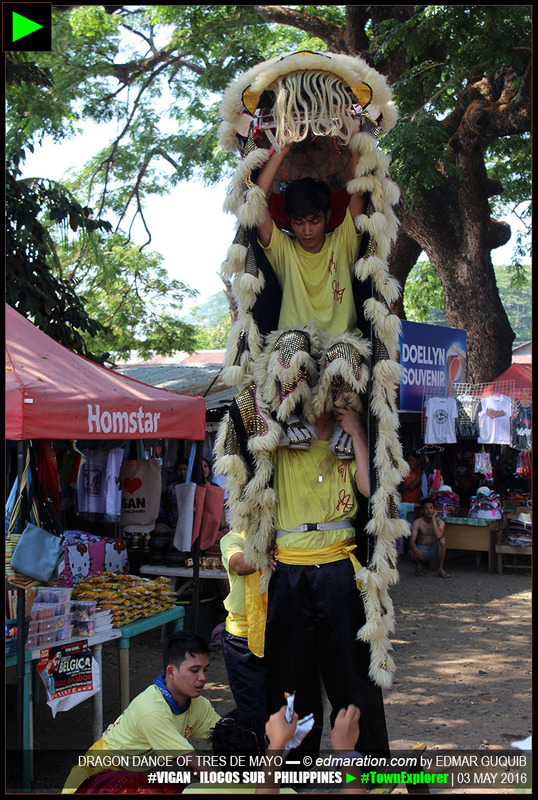 Chinese traditions being practiced during Tres de Mayo were retained in Vigan to express their role in Tres de Mayo. If you try to visit the Vigan Cathedral, there are Chinese characters etched elsewhere. Also, the images inside the Vigan Cathedral have narrow eyes and they are thought to have been made by the Chinese. The Vigan Cathedral also has Chinese architectural elements, especially on its façade. Well, the center of Tres de Mayo celebration is the Simbaan a Bassit but I used the Vigan Cathedral as an example to justify that the Chinese people here in Vigan are also involved in the religious activities of the Roman Catholics. There are already Chinese people (Sanglays) in Vigan when the town was affected by a cholera epidemic in 1882. 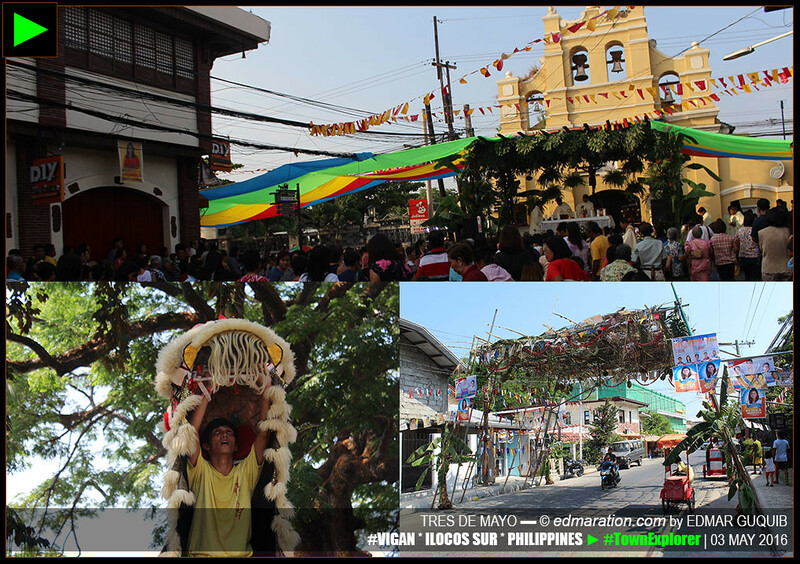 Since the residents of Vigan then (both the Ilocanos and the Chinese) believed that Apo Lakay saved Vigan from the threats of the said epidemic, the Tres de Mayo feast day was born. The Chinese people recognized such miracle.
. For the Chinese, they had their lion dance and the Chinese opera called kaw-kah which is still alive in Vigan up to these days. Though done separately by these groups of people in Vigan, the activities all happen within Tres de Mayo and the concept of the cultural events and activities are all interrelated and interconnected. One of the most interesting intagible cultural heritage that Vigan has for the Tres de Mayo is the kaw-kah or the Chinese opera. Since I don't have enough knowledge about this tradition (because I grew up outside the poblacion of Vigan and I never watched this because I wasn't aware it exists), I interviewed a friend of mine who has a direct experience and knowledge of the kaw-kah he learned since his childhood. 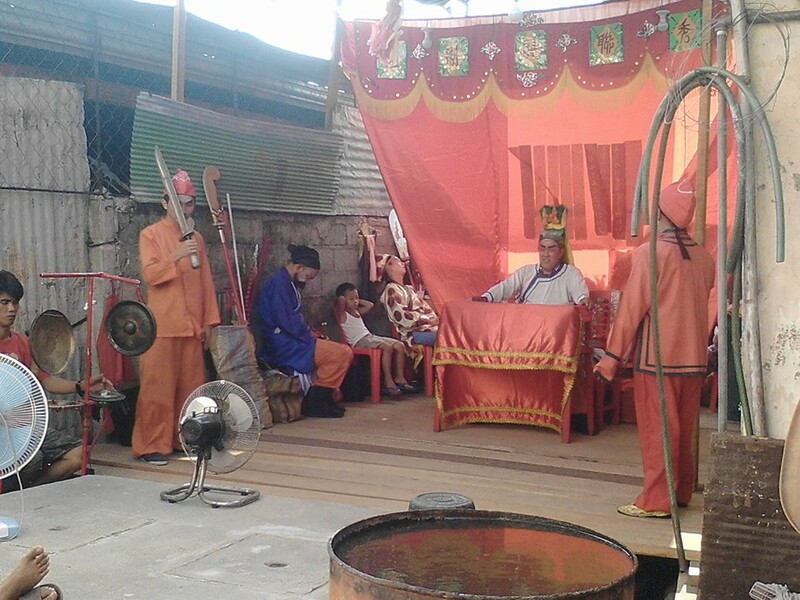 His name is Crispulo Arquero III, a fellow Bigueño who grew up in Vigan watching this Chinese play during Tres de Mayo. The information provided on the succeeding paragraphs were provided by Crispulo. The kaw-kah happens in a vacant lot in front of Benny's saloon along Mabini Street (If you're from Vigan you know this place). This place is the traditional venue for the play because it is believed that this location used to have a Chinese temple. The place is called clove. The play depicts journey and defending a kingdom. The area where the play is done is usually decorated with Chinese lanterns and red fabrics. Pineapples are also present which signifies luck. The Chinese believe that a pineapple has many eyes, hence, more profit (for their business ventures). The kaw-kah is thought to have been done to honor Apo Lakay and the Chinese deities. It's a form of thanksgiving for the blessings they received and of course, a display of the rich Chinese cultural heritage in Vigan. All of the performers basically have a Chinese lineage who can speak Chinese. Their dialogues are spoken with a high-pitch voice dramatized by Chinese traditional music played live by Chinese musicians. Singing in high-pitch is also a part of the play. The play is usually done for 5 days but the highlight happens every May 03. This Chinese opera used to be portrayed also in Plaza Burgos. The most interesting trivia about this play is that it will always push through with or without an audience. It is also noteworthy that they use grand and elaborate costumes. However, according to Crispulo, the costume now is no longer as grand and elaborate as the previous decades. After the ramada traditional games of Vigan, the people proceed to clove to watch this. 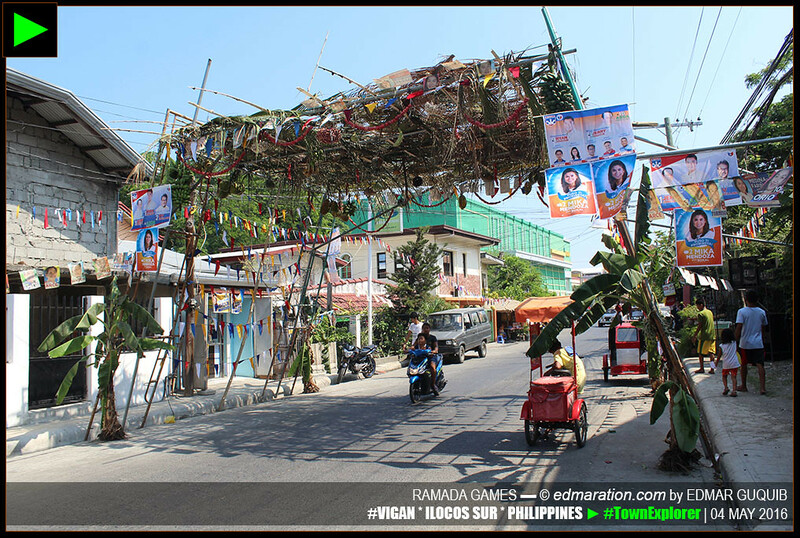 When you visit Vigan on May 03, you'll notice that there are canopies made of light materials with hanging fruits and vegetables. These canopies are usually created over many street crossings in Vigan. We call this canopies as ramada which serve as the venue for children's games referred as ramada traditional games and community picnic. This canopy is also present during the holy mass. It serves as the altar and platform where the priests will stay for the course of the holy mass. The fruits and vegetables hanging under these canopies are signs of abundance and blessings. After many attempts of writing a post about the Tres de Mayo in Vigan, I've finally done it this time. I wrote this to serve as reference to anyone who isn't familiar yet what Tres de Mayo is all about. The information I provided here isn't complete just yet. I know there are more things I need to learn about Tres de Mayo but I hope this post would somehow already be enough to provide the basic information and concepts for those who are not yet familiar of our culture. Indeed, this day is Vigan's most iconic day. It's jam-packed with cultural activities that have been present in Vigan for centuries with cultural substance you cannot see anywhere else in the world. This post will be updated whenever I'll learn new information related to Tres de Mayo. If you're sure there are errors on this write-up, please feel free to contact me at edmaration@gmail.com. I would appreciate corrections because I want the contents of this blog to be beneficial. 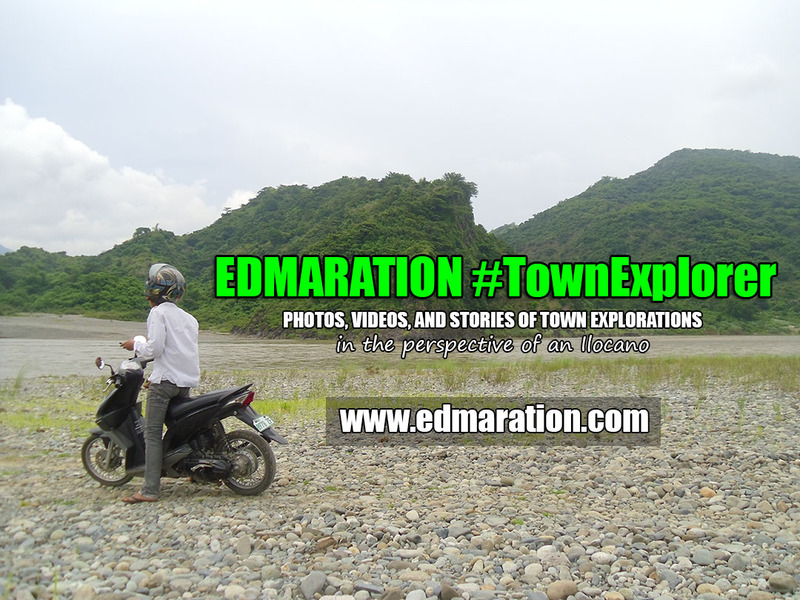 If you've done a formal study of Tres de Mayo or if you're an expert on the particular Vigan traditions mentioned here, you can also help me improve this post for the love of documenting our rich culture and heritage.